If you know me at all, you know I like a good reading challenge. I've been looking through the most dangerous blog on the web: A Novel Challenge -- the place to find all things challenges. Here are four challenges I'm looking forward to. This fall I read my first steampunk book (review: Clockwork Angel) and became interested in the genre. Then I discovered the Steampunk Challenge. I love that there are "no obligations other than to have fun discovering a genre and let other participants know about what you find." I am going to commit to reading two books. Check out the announcement post for more information. 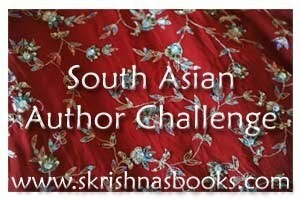 Although I didn't do very well with the South Asian Author Challenge in 2010, I am joining the newly revised South Asian Challenge in 2011. A sign-up post will be available next week, but the changes have already been announced. The new rules open up the number of qualifying works, and I'm excited to get reading. I'll be committing to three books, which will make me a South Asian Wanderer. Kathrin is hosting the fifth annual Series Challenge. I'm committing to reading at least three books to finish or catch up in a series. I plan to read the Ellie Chronicles, the final three books in the JohnMarsden series about an alternate history Australia. There is no badge yet, but the challenge has been announced. Here is a new and very clever challenge that Eva told me about. The One, Two, Theme! Challenge goes like this: pick a theme or topic and read a book about it, pick a second theme and read two books about it, pick a third theme and read three books about it. The total commitment is for six books, two which should be non-fiction. If I can come up with three good themes, I'm definitely going to join the challenge. Read the full rules on the dedicated blog. I know that more and more challenges will be announced over the next month. I'll let you know which ones I plan to take on. Oh, you're tempting me in my decision to not join any challenges. Maybe I should just pick one book from challenges like South Asian author and Steampunk to try to get to over the coming year. The One Two Theme challenge sounds interesting and fun! You are so on top of things! I haven't even started to think about my challenges for next year. Good luck! Glad you're considering joining the One, Two, Theme! I already have my themes, I just need to books to go with it. Thanks for joining my challenge, Beth. I am also considering the One, Two Theme challenge. It sounds like a lot of fun. Your energy is phenomenal: more power to you and readers like you. Good luck with these! I just recently read my first Steampunk novel as well (BONESHAKER by Cherie Priest), and I highly recommend it. I might have to check out the challenge---I'm definitely intrigued by the genre. Perhaps I´d better announce my Global Reading Challenge soon. What about "What´s in a Name"? I am definitely in if you host it. Good luck with these challenges. We overlap: I'm planning to do these, except the series challenge. Also going to read books suggested by guest posts in my Book Bloggers Abroad event. Need to write my challenge post still! I'll have to go and check out A Novel Challenge. So far I have signed up for The Women of Science Fiction Book Club which is a different book each month and a discussion. I'd like to add a few Steampunk novels next year too. You all are so amazing! I still can't believe you read this many books -- I am awed, ladies :) Maybe a challenge would be good for me, too. 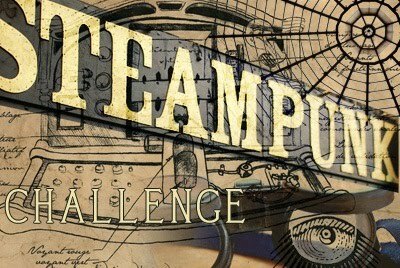 The steampunk challenge sounds neat. The series one sounds like something I shoul do.